We're using MapBox to serve a raster tileset. How to stop it with MapBox? Will it work out-of-the-box with gdal2tiles? Any other references about best practice for serving partially transparent raster tiles? 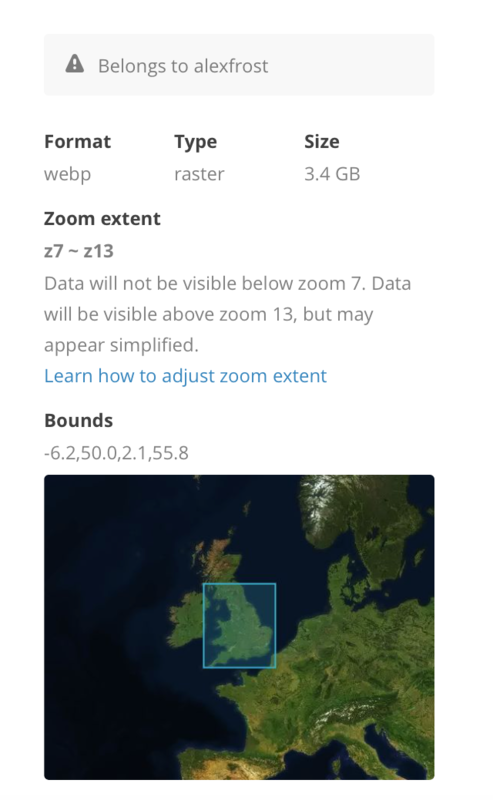 But if you navigate to the Mapbox Tileset, https://www.mapbox.com/studio/tilesets/alexfrost.0oaowqxv, using your Mapbox login credentials, then you see that your format is webp. Which is fine, but could be contributing to your problem. 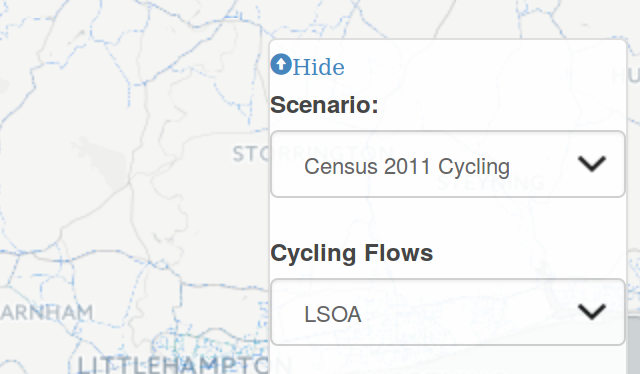 Screen capture below as you need a Mapbox account to view that link. See this thread for further discussion Mapbox Studio for macOS renders GeoTiff into webp with black background - suggestions? Not the answer you're looking for? Browse other questions tagged raster gdal mapbox web-service gdal2tiles or ask your own question. How to determine when mapview zoom level has changed using Mapbox-iOS-SDK? Generating perfect tile set from Mapbox for given zoom level? Why does gdal use only one core?